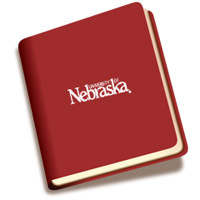 "Policy Brief #2: Parent Perceptions of Child Care: How do Nebraska Par" by Kathy Thornburg, Helen Raikes et al. Policy Brief #2: Parent Perceptions of Child Care: How do Nebraska Parents Rate Their Child Care and Child Care Subsidy Options? In 2000, university researchers at the University of Nebraska-Lincoln, Iowa State University, University of Kansas, and the University of Missouri, and state child care and early education program partners in four states (Missouri, Iowa, Kansas, and Nebraska) initiated the Midwest Child Care Research Consortium (MCCRC). The focus of the Consortium’s work is to conduct a multiyear study on a range of issues associated with child care quality and conditions. Across the four states, a stratified random selection of 2022 child care providers participated in a telephone survey conducted by the Gallup Organization, representing licensed child care centers, licensed family child care homes, registered child care homes, and subsidized care license exempt family and (in one state) license exempt center care. Providers responded to questions about background and practices often associated with quality. Of the providers responding to the phone survey, 365 were randomly selected for in-depth observations to assess quality. In Year 2, 1325 parents (256 from Nebraska) in these centers were asked to complete a survey about their child care and 629 (166 from Nebraska) parents who used subsidies completed phone interviews about their child care.